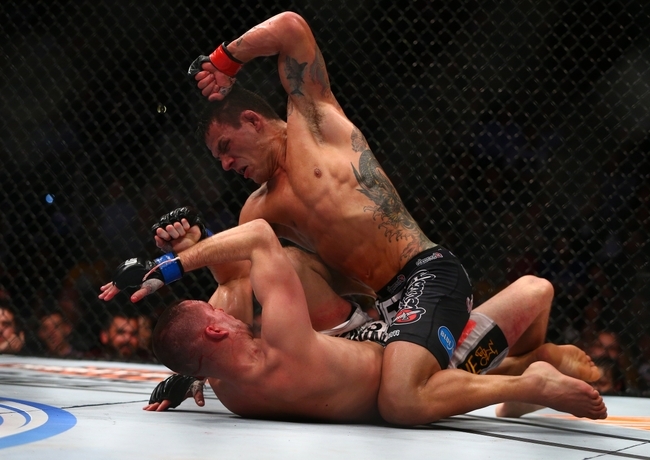 The lightweight champion dos Anjos is the most likely next opponent for Diaz. Diaz, after all, filled in on short notice for an injured RDA to fight McGregor. Since McGregor was being given the opportunity to fight RDA for the lightweight crown, it makes sense Diaz is granted the same opportunity since he beat him. Diaz and RDA fought two years ago at UFC on Fox 13 and Diaz lost a lopsided decision, but Diaz was injured going into that fight and was clearly not in fight shape after a long layoff. A rematch would be a lot closer, and with the revenge angle being an easy sell for the UFC, there is a very good chance we see these two run it back when RDA heals up from his broken foot. 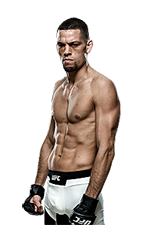 However, if Diaz elects to stay at welterweight, then he could get a title shot against the champion Lawler. Tyron Woodley would have something to say about that, but Woodley hasn't fought in over a year, and his split decision win over Kelvin Gastelum doesn't look so great in hindsight. Woodley isn't a box-office draw either. Purists will decry Diaz stepping in front of Woodley, but the UFC is a business, and a Diaz vs. Lawler title fight would be a big fight for the promotion. The fact that Lawler fought Nate’s brother Nick Diaz back in the day doesn't hurt when it comes to selling this fight either. Perhaps surprisingly, GSP's coach Firas Zahabi this week came out and said on Twitter that GSP himself was impressed with Diaz' performance. He felt that a matchup between the two would be a fun one for the fans. 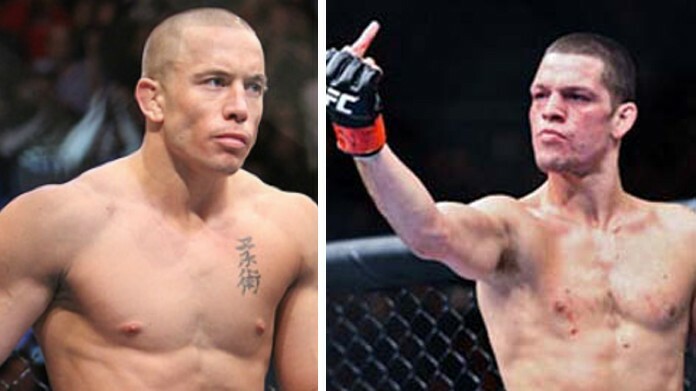 While I don't know how exciting this fight would be, since GSP would probably wrestle Diaz for five rounds, there's no doubt it would be a big box-office seller. GSP already fought Nick, and Nate obviously wants revenge for his brother. Both guys are also in the business of making money, and this one would sell a lot of PPVs. It seems like a horrible style matchup for Diaz, but if GSP wants this fight, then the UFC should do whatever it takes to book it, since the promotion badly needs GSP to return. 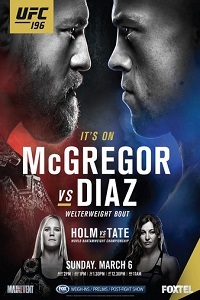 Although McGregor lost the fight in decisive fashion, the pay-per-view did massive numbers -- Dana White says it broke the UFC's record from UFC 100 -- and a rematch cannot be completely counted out. No, it doesn't make much sense from a purist point-of-view, but it would be a massive seller at the box office. McGregor even wrote in an Instagram post: "Nate I will see you again soon." The seeds are being planted for this rematch, and while it's not likely to happen next, don't count it out happening in the future. OK, so this isn't actually a real option. But the pop music megastar, who is a vocal support of McGregor, this week called out Diaz on Instagram, saying Diaz has a "terrible style" of fighting. Diaz responded on Instagram with a humorous photo that his fans ate up, and later Diaz went on Extra TV saying he wanted to "smack" the Canadian. Again, this is obviously a joke, but imagine the pay-per-view buys Diaz vs. Bieber would do? It would break every record the UFC ever had.